Zocor (simvastatin) is a statin that is available on prescription (or over the counter in low doses). Statins are drugs used to treat treat patients with high cholesterol or who are otherwise at risk of cardiovascular events, such as stroke or heart attack. The statin lowers the amount of 'bad' cholesterol (LDL) in the blood stream and increases the amount of HDL, which is known as 'good' cholesterol. The Online Clinic can prescribe Zocor (simvastatin) if it is safe to do so. Please complete an online consultation form. How does Zocor (simvastatin) work? Simvastatin lowers levels of LDL by decreasing the amount of cholesterol produced by the liver, thereby lowering blood cholesterol levels. The drug also lowers the number of triglycerides, which are other "bad" fats in the blood. The statin also causes a small rise in levels of HDL. The 'bad' fats decrease and the 'good' fats increase. How to Obtain Statins Safely? 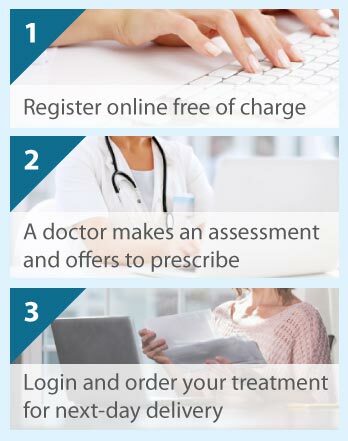 If a doctor has already prescribed a statin for you or if you have been diagnosed with higher than normal levels of cholesterol, then we are happy for you to purchase statins from our clinic but we will require you to fill out a medical consultation in order for us to make sure that it is appropriate to prescribe for you. As well as keeping levels of LDL low, simvastatin can help to prevent coronary heart disease, atherosclerosis, heart attack and stroke. Zocor has been around for a number of years and has proved very effective for most patients for whom it has been prescribed. How do I know if Simvastatin is appropriate for me? Patients who are prescribed statins usually have high levels of cholesterol in their blood. Sometimes those who have inherited unhealthy cholesterol levels will take this form of treatment. Those who have problems with their kidney function, liver function, thyroid, hereditary muscular problems or who are heavy drinkers should be wary of taking statins. If you complete our online consultation form then our doctors can assess if simvastatin is appropriate for you. Are there side effects associated with Simvastatin? If you experience any symptoms of muscular pain, cramps or weakness, patients are advised to consult their prescribing doctor. Other side effects include headache, muscle tenderness or weakness, digestive issues such as diarrhoea, inconsistent liver function test results and problems with sleep, memory and depression. Side effects are rare but you should alert your prescribing doctor to any side effects that you suffer. We can prescribe either brand Zocor or generic simvastatin as this medication has come off patent. Prices start from just £39.95 and this includes the private prescription and next day delivery in the UK. Just complete a free consultation to proceed.